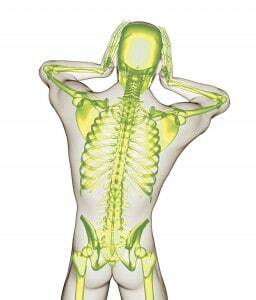 We utilise evidence based musculoskeletal treatment protocols which may result in effective pain relief. We are university trained in the use of mobilisation/manipulation techniques and other physical treatment methods in the care of mechanical-type neck, back, arm and leg problems. Our clinicians use specific and gentle movement restoration techniques to a joint in a state of fixation or restriction. Normally trigger point therapy and /or deep tissue massage with or without massage machines will be used to prepare an area prior to restoring motion. On occasion we may use a ultrasound or interferential stimulation to prepare an area for movement. Procedures to restore motion do not always involve manipulation. We are utilise effective mobilisation techniques, a gentle impulse devices know as an activator or a drop table. We treat every individual case differently. Through our clinical knowledge and examination protocols, all cases are given a comprehensive diagnosis and logical explanations. If we may help, an individualised treatment plan is recommended, combined with tailor made rehabilitation and injury prevention advice. Our aim is to have you back in shape quickly, using the latest research and through the most cost effective means. We are evidence-based chiropractors who do not subscribe to the chiropractic vertebral subluxation theory (an historical concept, which is currently not supported by clinical research linking it to the cause of disease.) We also do not subscribe to other unsubstantiated concepts. We are currently Australia’s first and only certified M3D® trained practitioners. M3D® involves the use of Extentrac (non surgical spinal decompression therapeutic device). M3D® is a noninvasive, nonsurgical treatment that works by gently stretching the back to relieve pain and increase flexibility through natural gravity traction, intermittent traction, and mobilisation forces at varying angles and directions.